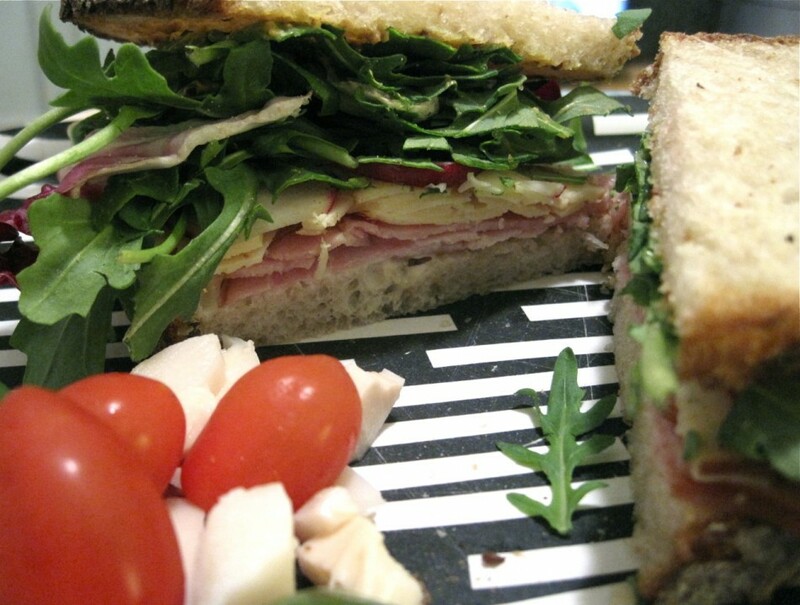 Here’s a sandwich I whipped up this morning to bring to work for lunch: Two slices of organic peasant rye bread, toasted with country mustard, honey ham, smoked Gouda, sliced radish, and mixed arugula salad greens. On the side..hearts of palm, grape tomatoes, olives and a Bosc pear. Eating well doesn’t always have to be complicated or involve cooking. Yes, I know the blog has been mostly vegetarian dishes thus far…. but I do eat a bit of everything! April 4, 2011 | Filed under lunch, snack and tagged with ham, lunch, radish, sandwich, snack, work lunch.